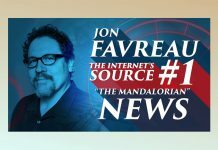 We learned during the Disney Investor Day presentation last Thursday that Jon Favreau’s upcoming Star Wars live-action series The Mandalorian would be available for viewing day & date with the launch of the new Disney+ streaming service (November 12 here in the US). However, we did not know how many of the episodes from the series (there will be a total of eight episodes in Season 1) would be launching on November 12. Will we be getting one episode, a few episodes, or all eight for a complete binge watching extravaganza? Turns out we’ll only be getting the first episode of The Mandalorian on November 12, as reported by Anthony Breznican over at Entertainment Weekly. Breznican thinks there may be a slight possibility of Lucasfilm releasing two episodes at launch, but as of right now only the first episode will be coming our way from the jump. I for one am a BIG fan of this content release structure. It really gives the series that old-school “tune in next week” feel that keeps you thinking about what you just saw all week long. Yes, I know you could just choose to watch one episode per week even if all eight episodes are released right off the bat. But then again, why have to fight that burning urge to consume all of Season 1 in a single viewing? 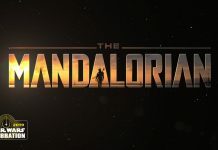 Strap in folks – The Mandalorian should be one hell of a ride.